Nothing about growing an online business or blog feels insanely easy, does it? There's one thing this week that we want to be insanely easy though: The process of getting email addresses! Your email opt-in-offer should solve such a hairy, messy problem that it's insanely easy for everyone who visits your site to give you their email address. As you focus on your challenge this week, I want you to remember one thing: The point of all this is not to collect as many email addresses as you can, but to provide help to real people. Grabbing an email address is just the beginning of a meaningful relationship. 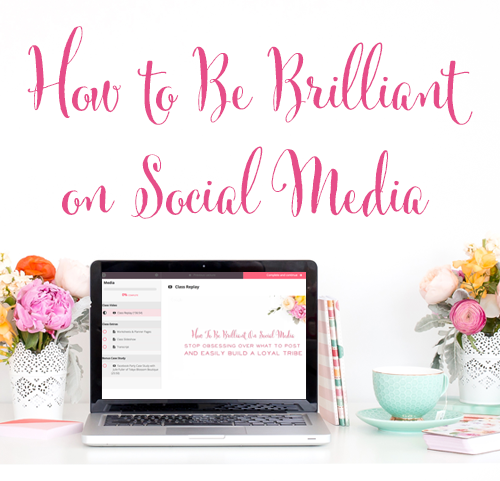 This week, we heard from Kat Lee of InspiredtoAction and HowTheyBlog. Kat wrote an e-book on How to Maximize Your Mornings that has been downloaded over 15,000 times! She took a passion of hers, a problem of her readers, and created an incredible solution. That solution has grown into accountability groups for moms all over the world. They encourage each other to wake up early, spend time with God, exercise, and plan out their day with intention. Amazing! I just know you have something incredible to offer too. Many of our brilliant business mom listeners are Etsy sellers or sell products on their own websites. 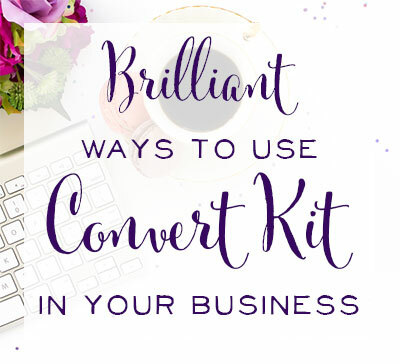 The process of creating the perfect offer and then figuring out what to put in the newsletter beyond just coupons and sales seemed to be a challenge. 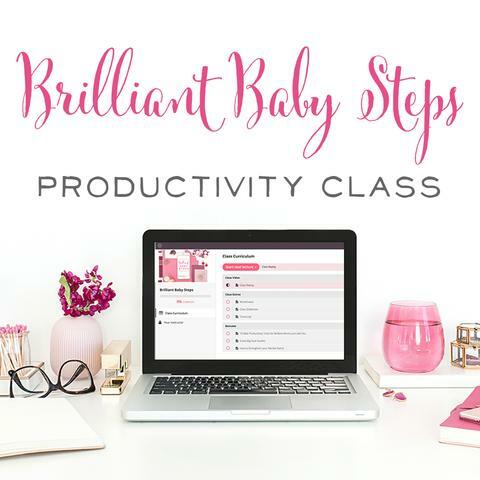 It's much easier to come up with great information that people want to learn more about versus figuring out what someone purchasing jewelry wants to see in their inbox. Here are a few of the ideas we brainstormed in the group! Consider your Unique Selling Proposition. 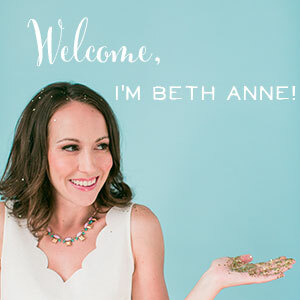 What makes your jewelry, personalized gifts, wedding decor, or other items unique? Is it your exceptional customer service? Your ability to customize your items in unique ways? The handmade, eco-friendly process by which your items are made? Use this information to discern what your ideal customer values the most. For example, they may be exceptionally thoughtful and most interested in learning about personalized gifts and services. Perhaps getting to know the hand-made artisan and their unique process and craft is what interests them. Do your products have a bright, quirky, totally unique style? This tells you a lot about your ideal customer. Once you know what your ideal customer is interested in, you can frame your email newsletter around those interests. Your newsletter is not just a place to share your own new products or coupon codes, but rather, a place to build a community, or become known as an expert curator on that given topic. Don't be afraid to share others' content here. Your goal is to be as interesting and helpful as possible! Of course, your own new products, great deals, and other content should also be included, but include it carefully and thoughtfully. If you need some help brainstorming the perfect solution, no problem! We've got you covered with our private Facebook group. The group is really active and filled with insanely smart, talented women; we'd love to have you! 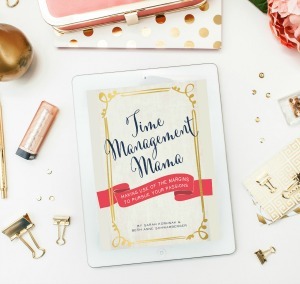 Sarah and I just created the 8 Apps that Work-at-Home Moms are Using to Get More Done. We knew that productivity was a main concern for most of our listeners based on feedback we've been getting in our Facebook group, via email, and other communication with you all. 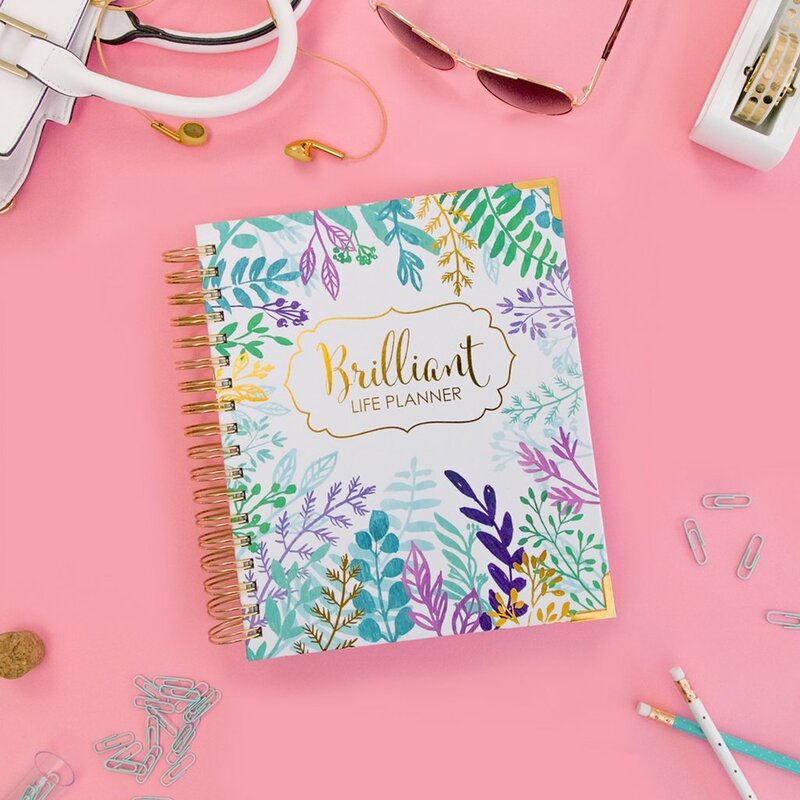 Even though we've created 52 Weeks to a Better Business to draw in new subscribers, the Apps Resource List seems like a great way to compel first-time visitors or those who aren't ready to commit to a longer program of growth. We've just added this resource list to our site in a few key places, so we don't have results to share just yet. Check back, because we're always updating the challenges as we make progress! How about you? 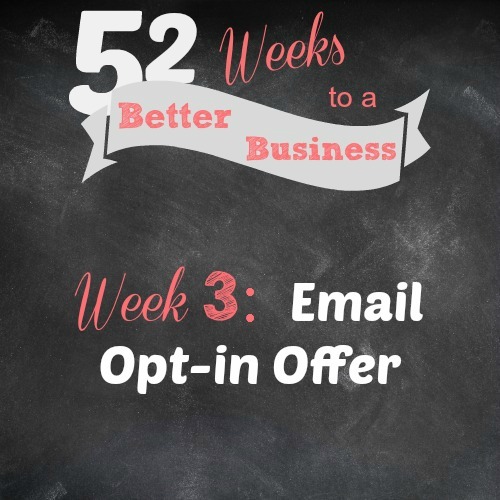 Have you created your killer opt-in offer? Are you gaining more subscribers, customers (and friends!) as a result? Tell us all about it in the comments! P.S. Check out our Week 2 Challenge Results!